We have local understanding, knowledge and expertise with common pests found on the Northern Beaches and Sydney Metropolitan area. We stay abreast of the latest pest management techniques, technologies and methodologies and as a result, we are able to effectively protect both your home, businesses and strata premises from all types of pests and vermin including cockroaches, ants, rodents, bed bugs, fleas, ticks, silverfish, spiders, termites, wasps and bees. We adhere to the highest level of quality and standards when it comes to auditing and preparing various pest reports on particular properties. We have quality services and the best professional ethics that you can trust when you are dealing with pest issues. Clean & Green Pest Management is a family owned and operated company on Sydney’s Northern Beaches. Our licensed and trained pest controllers specialise in safe and sustainable green and natural pest control services. We believe that the sustainability of any ecosystem requires management not obliteration. As a pest control technicians, we respect this and operate using the latest scientific means for population control. We strive to give you the best experience possible in terms of value for money, explanation and clear communication about how we implement our services and treatments. New South Wales is a high-risk pest area. If you are not proactive with pest management, you are going to lose the war and see the value and appeal of your property diminish while creating an unhealthy living environment. That insight equips us with the knowledge which combined with our expertise in the industry will help you in carrying out effective protections and treatments including professional termite inspections, monitoring as well as high integrity pest inspections for various kinds of properties. Our services are quick, responsive and professional. Clean & Green Pest Management is one of the few truly qualified pest control companies in New South Wales. We don’t just use brute force in pest management. We apply sustainable scientific methods to prevent the pest infestations from recurring in your property. We are trusted by many businesses and homes due to our effective pest management and inspection services which are always guaranteed to deliver value to our customers. When you contract us, we will ensure that your property is pest-free and fully compliant. We will work on your premises with discretion and minimal disruptions. Contact us now for more information. All our technicians are fully trained and experience in all aspects of pest management from domestic, commercial and termite control. Our pest controllers hold a Certificate 3 and Timber Pest Qualified (Units 8 & 10) – the highest standard in the industry – so you have the confidence you’re in safe hands with your Clean and Green pest controller. Unlike some larger companies, we don’t use inexperience trainees to treat your property or business all techs have at least 8 year industry experience. We are fully insured General, Public Liability and Professional Identity Insurance. With up to 55% of the pest control industry uninsured (Statistics from Pacific International Insurance), why risk it? When you enlist our ongoing pest management services you have the assurance that you’ll deal with the same service technician each time. They will know the history of your pest problems and layout of your business thereby limiting confusion, saving time and reducing costs. We are a family run and owned company that puts the customer and their needs first and will go the extra mile to make our customers happy. 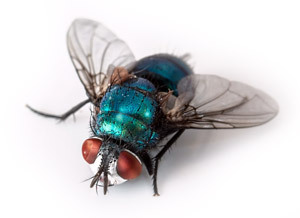 Our pest controllers pride themselves in being able to think outside the square when it comes to pest control and being able to solve any problems our customer throw at us no matter how unique they are. We extend flexible booking times and more availability then larger pest control companies. You will be notified by text and/or email once your job has been confirmed. A text will be sent to your phone when our tech is on their way and will give you a exact time of arrival. For our client’s convenience, we offer flexible payment options. Invoice will be given as soon as the job has been complete. We will provide you with a detailed report after every service no matter how big or small. Your report will detail areas treated, chemicals used plus advice and recommendations on how you can further prevent and reduce future pest inundation. You will be put on our automatic reminder list and we will remind you the same time next year that your annual pest service is due. We are committed to keeping your staff and premises safe. We only use the safest environmentally friendly chemicals on the market today. If you have any questions about removing and managing pests around residential property, commercial premises or strata building, contact the team at Clean and Green Pest Management for obligation free advice. We are your local Northern Beaches pest controllers specialising in both traditional and the green pest control methods that are safe for your family and pets. Our licensed pest controllers can advise you on the safest and most sustainable ways to control pests including cockroaches, ants, fleas, silverfish, fleas, rodents, spiders, ticks, wasps and bed bug eradication. We can also assist with possum removal and bird control methods. We strive to give you the best experience possible in terms of value for money, explanation and clear communication about how we plan to implement our services and pest control treatments. Click here for a pest removal quote or click the buttons below to get in touch.